We're all aware that Memorial Day is a day of remembrance, but Congress has also established an exact minute of remembrance. 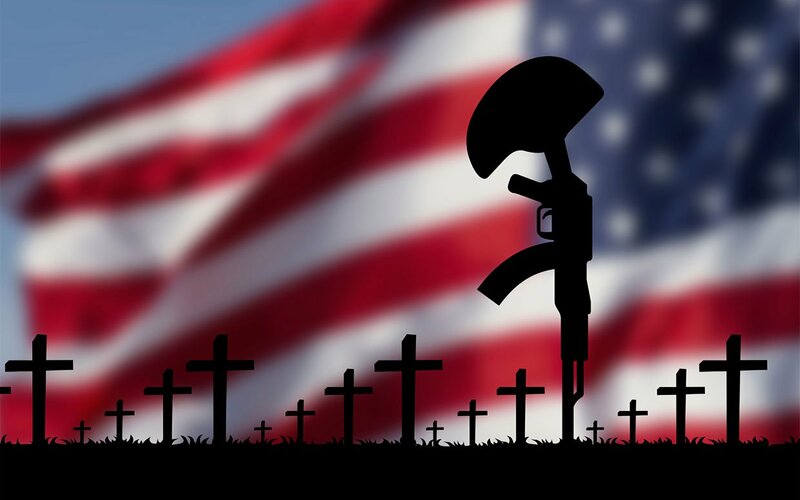 The National Moment of Remembrance Act,which was adopted in December of 2000, encourages every citizen to pause each Memorial Day at 3:00 p.m. local time to remember the brave men and women who died serving this country. In addition to any federal observances, Major League Baseball games usually come to a stop during the Moment of Remembrance, and for the past several years, Amtrak engineers have taken up the practice of sounding their horns in unison at precisely 3:00 p.m.
Today, and every day, take time to pray for the families of those that gave their lives for the freedom we enjoy today. Minutes, moments and monuments all remind us of the sacrificial love that makes this nation great.